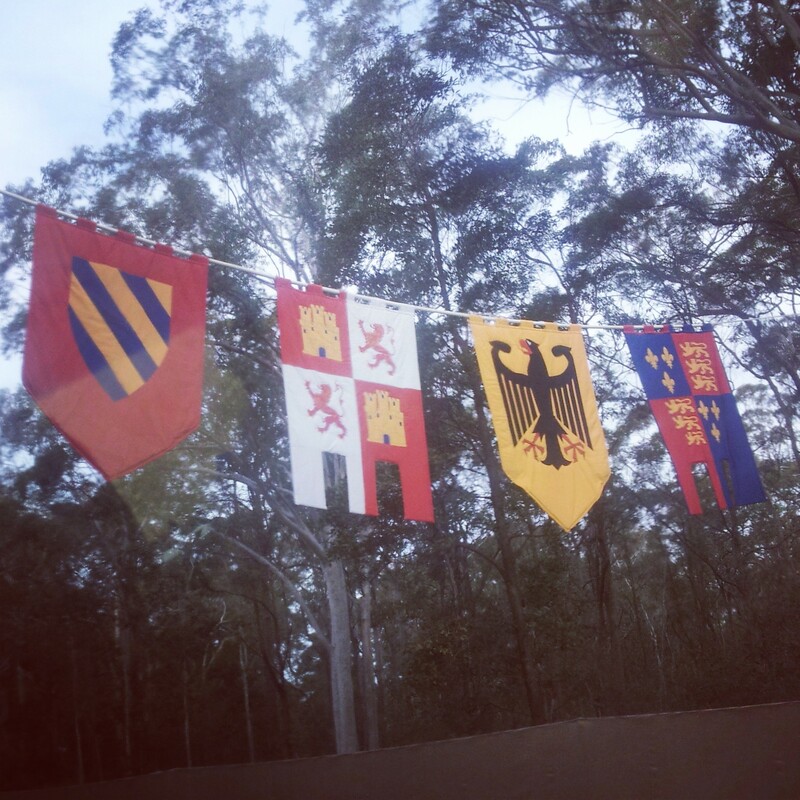 Early last month, we were lucky enough to have the opportunity to go along to the Abbey Medieval Festival, in Caboolture – not far north of Brisbane. 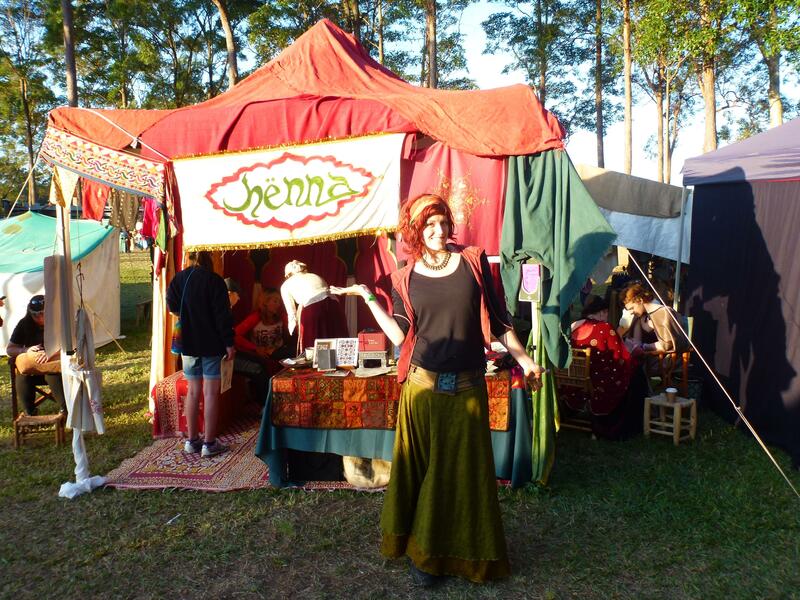 We met a lady in Main Arm through our Helpx hosts who needed help with setting up and packing down a henna stall and campsite, and was offering tickets to the festival in return, so we jumped at the chance. 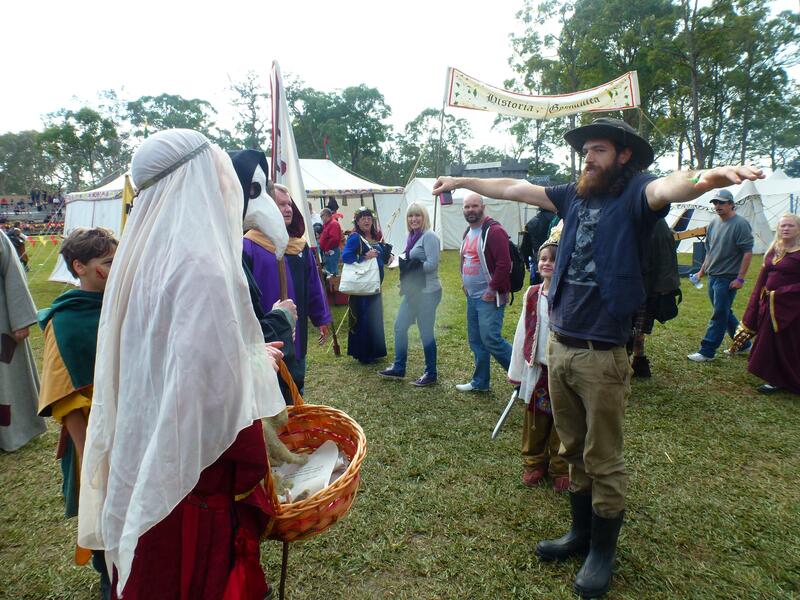 Both of us have wanted to go to a renaissance style festival for years now, and the Abbey festival happened to be the biggest of its kind in Australia! We found out we were going the night before it happened, so we had to throw together some costumes last minute. Billy fashioned some brown sheets and cord into a peasant outfit, and I managed to find some gypsy-ish clothes in my little wardrobe. 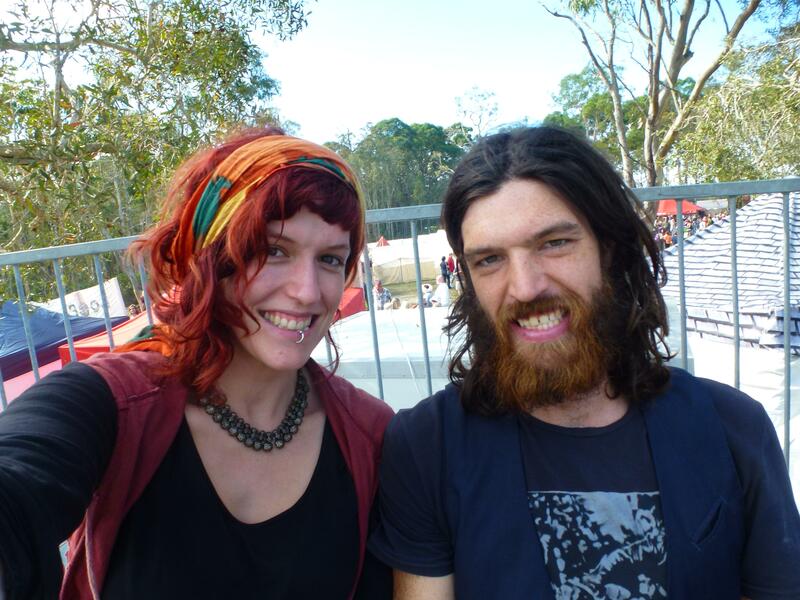 We made the five or so hour drive on Friday, and Billy and I crossed the border to Queensland for the very first time! We were only required on Friday night to set up the stall and Sunday afternoon to pack it down, so the rest of the time we got to wander around and enjoy ourselves. It was such an awesome festival, and we had a great time so I just wanted to share some photos from our time there (warning: this post will be quite picture heavy). 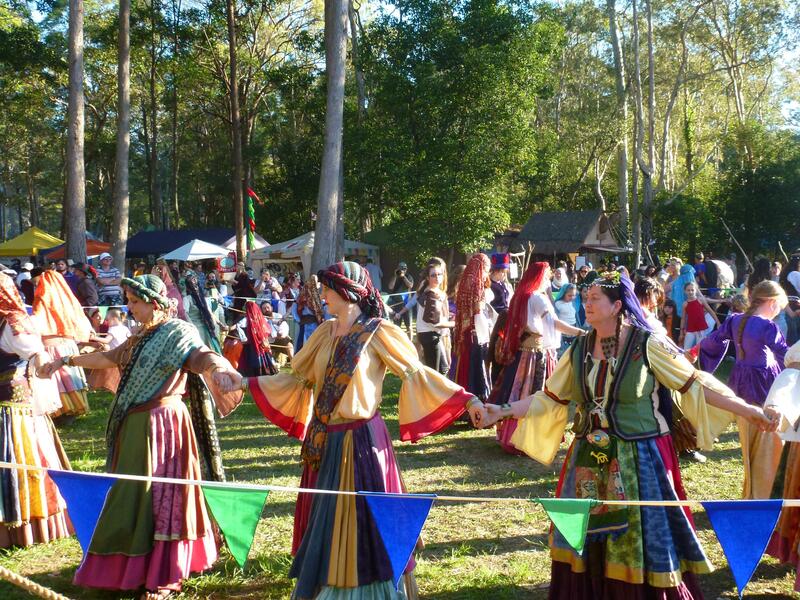 One thing that was pretty special about the festival was how nice everybody was – it had such a good vibe, with plenty of kids and families running around. It was very cool. 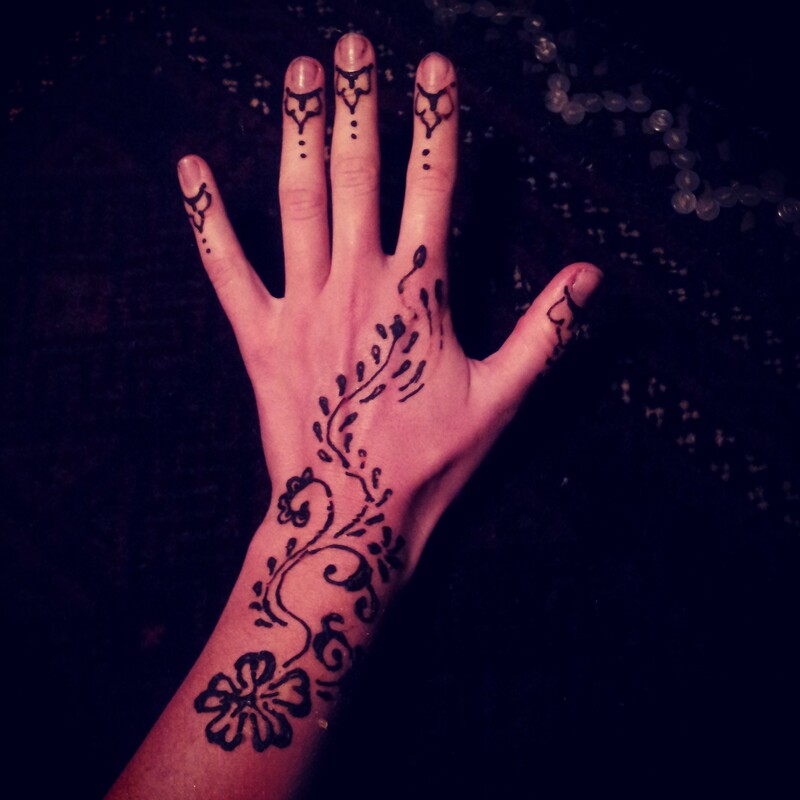 This was before we left, when I was a guinea pig for some henna practicing. It turned out beautifully, but because the ink was a bit old it didn’t set into the skin very well and only lasted until the end of the week. The cute little stall we set up. 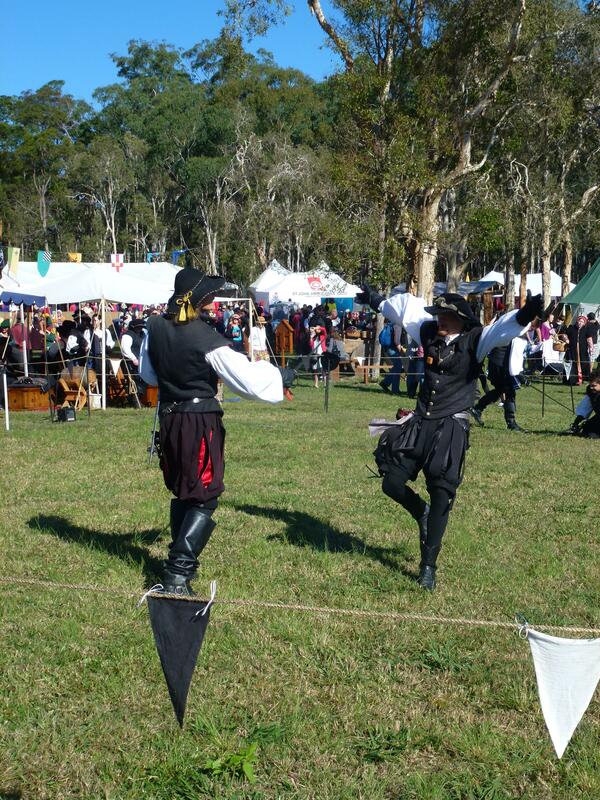 Some guys doing a very theatrical fencing reenactment. One of the two local taverns. 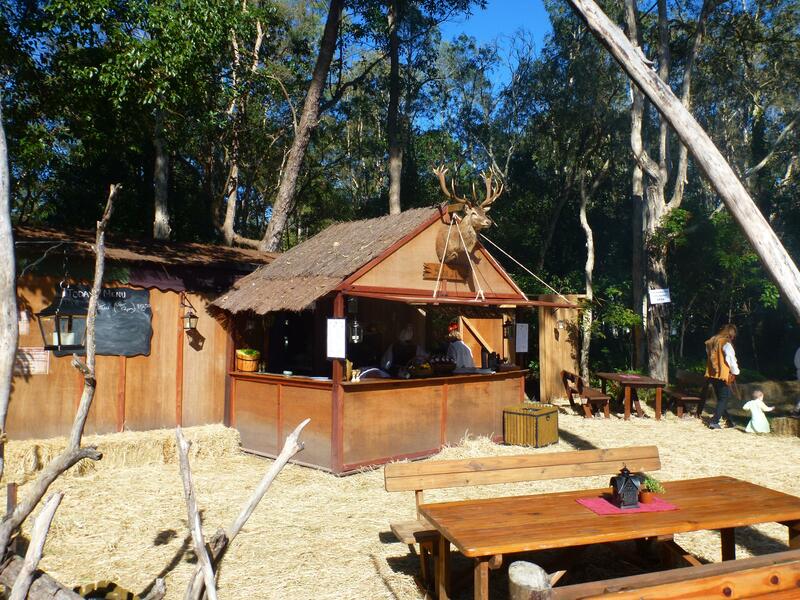 Here you could get a meal, some mead, cider or beer. 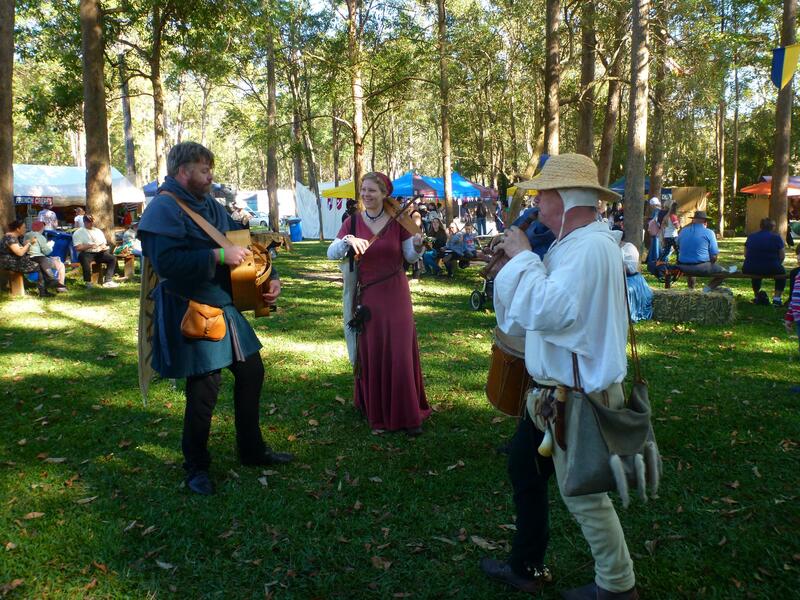 In the evenings when the festival was closed to the public, all the workers, reenactors and volunteers could go in for a drink, and there would be people playing folk songs by the fire. Some roaming musicians. No idea what that box thing the guy in blue is playing is. The opening ceremony. The sound from this cannon was INSANE. It scared the bejeesus out of Billy, which I caught on video…hehe. 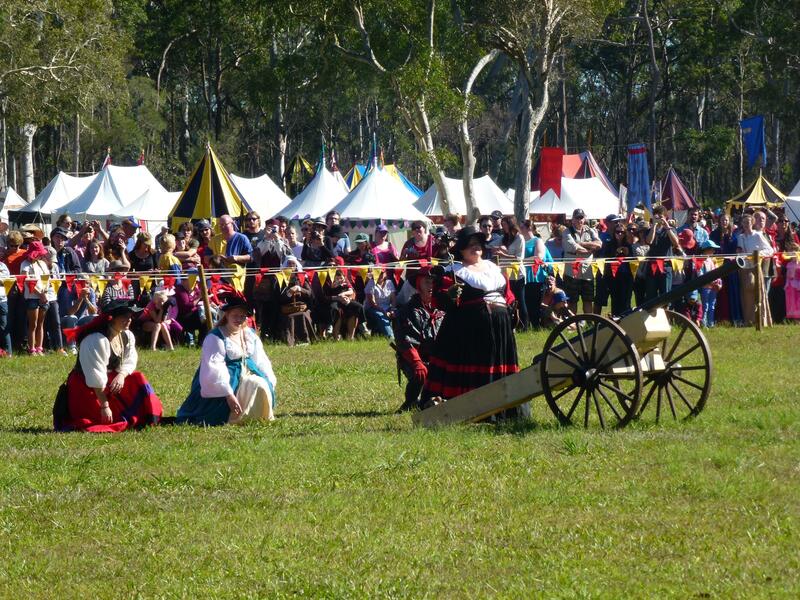 Throughout the weekend, the cannon would continue to go off at random times, with no warning. By the end you ALMOST got used to it. 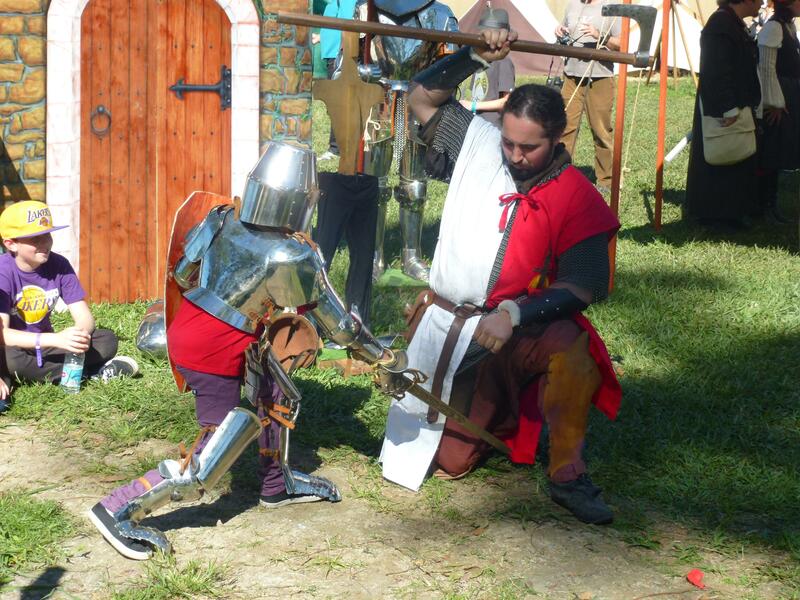 One of the many battles we saw over the course of the weekend. We saw swords, shields, axes, spears. 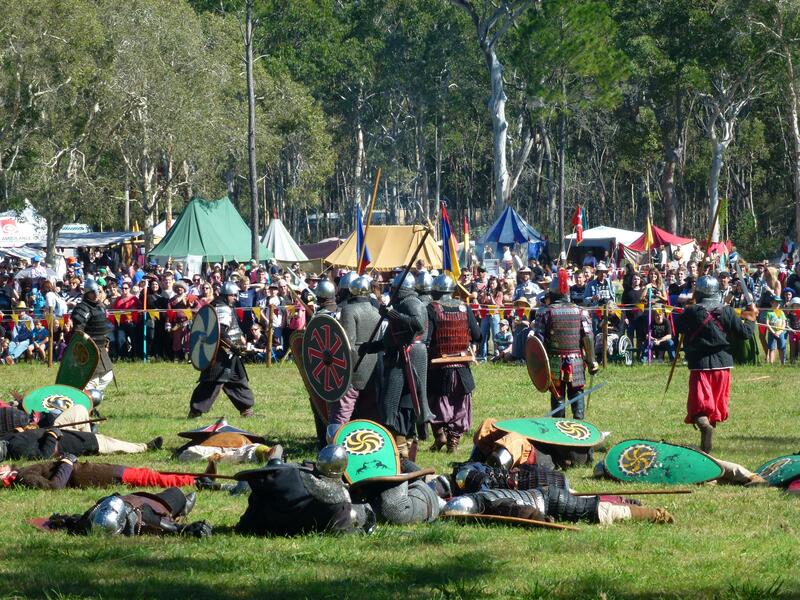 We saw one on one, groups of 5-10, and then some like this – a full field, all in battle, with teams of about 20-30 each. 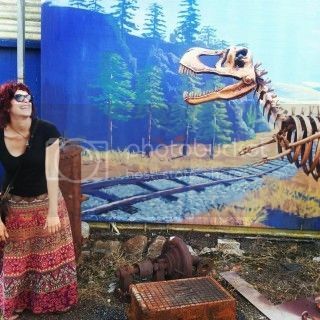 It was very entertaining, and it was easy to get caught up in the oooohs, ahhhhs, and YEAHHHHHHs! 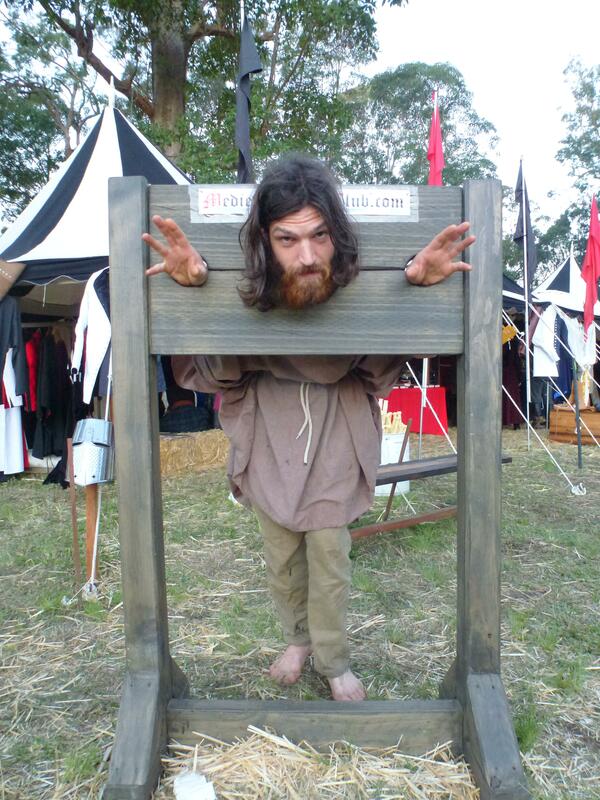 Peasant Billy stuck in a pillory. 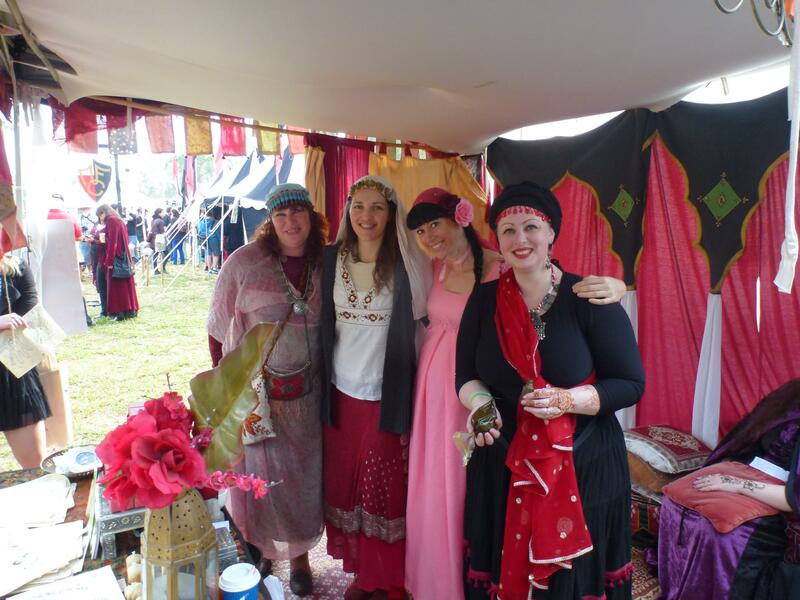 The lovely ladies from the Henna stall, taking a brief moment for a picture in between the madness. 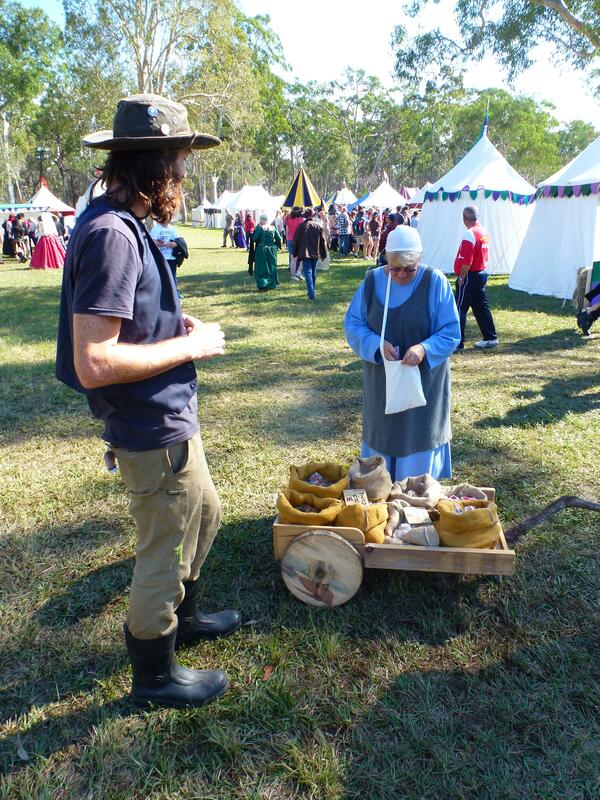 Billy getting the once over from a leper. Billy buying sweets from an old lady. 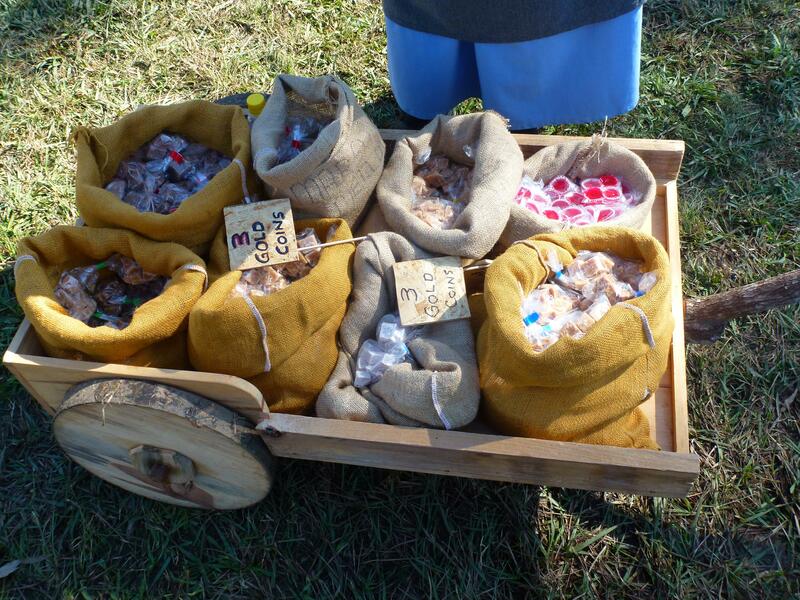 They weren’t very good, but maybe sweets weren’t back in medieval times. This dude was pretty amazing. 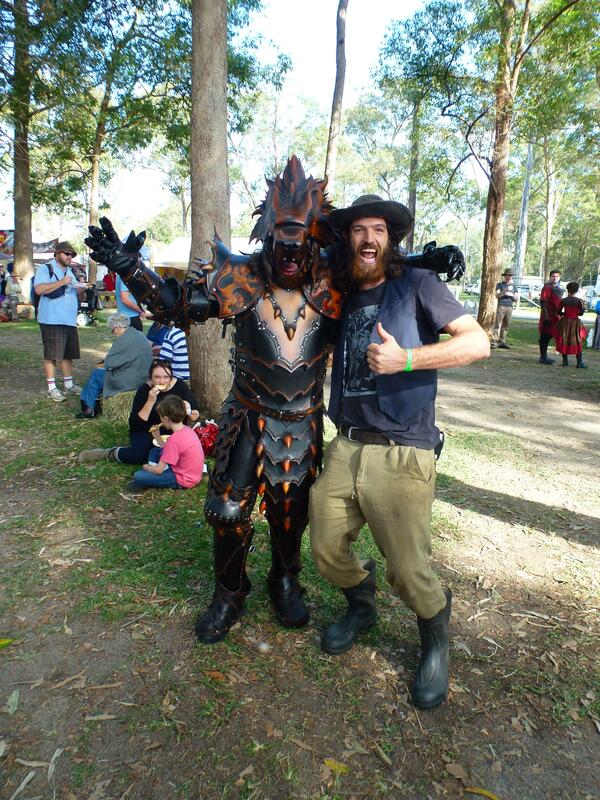 He had built this bear warrior suit himself. He must have been sooo hot walking around in it – and he was in it ALL day. 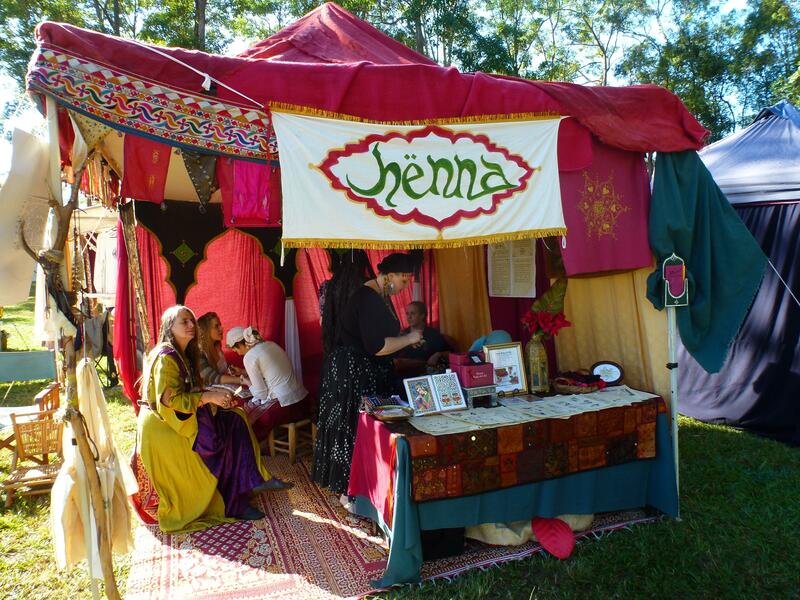 Some dork in front of the Henna stall. 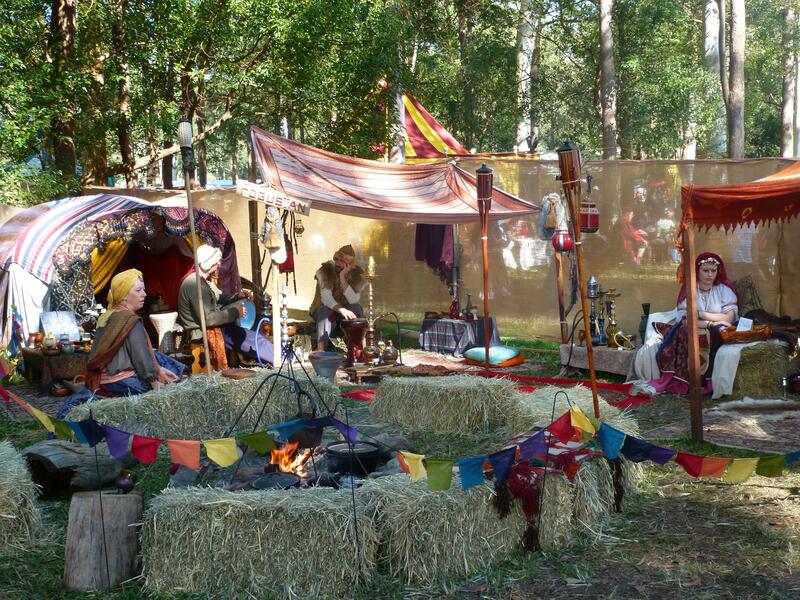 I really like Medieval Fairs too. I definitely would have been to your stall! The drawings are so cool.